Looking for an exciting new strength training routine? If building real strength, skill, and control of your own body is more important to you than chasing numbers on a scale, our circus-inspired strength training programs are for you. Deflying Fitness offers a unique blend of strength training exercises based on elements of gymnastics, kettlebell training, and circus arts. You’ll learn challenging strength training exercises and receive constant feedback for improvement. Before you know it, you’ll be stronger than ever and on your way to achieving your fitness goals while learning new skills so you can actually use your new-found strength. Our strength and conditioning programs are tailored to your specific needs, and they’re great for all levels. Bored of regular pull-ups? Looking for new ways to improve grip strength? Want some fun new ways to strengthen your core and upper body? Come and learn safe techniques inspired by circus aerialist training! Learn the strength and control that allows performers to manipulate their bodies high above the ground. Also excellent cross training for handstands or other strength disciplines. You can take our online classes from the comfort of your home, no matter where you are in the world! We also offer one-on-one training and workshops in Toronto, Montreal and Vancouver. To find an option that works for you, check out our strength training schedule. 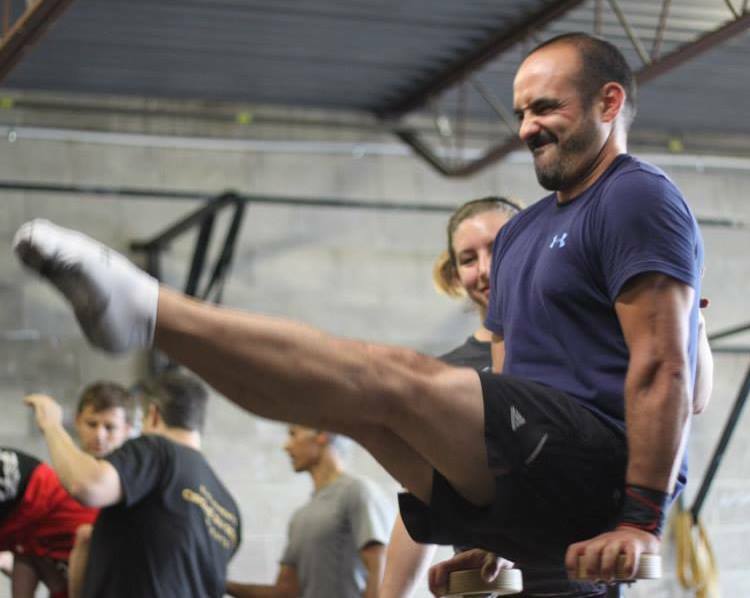 Gym Owners – Host a Strength Training Workshop! Deflying Fitness can provide strength training classes for your gym members. Why not add a workshop to your schedule? To learn more, contact us.